The DTM System company has successfully passed the ISO 9001:2015 certification. The certificate confirms the introduction and application of the Quality Management System and proves that fulfillment of the standard in the scope of: Designing, production, and sale of electronic devices. 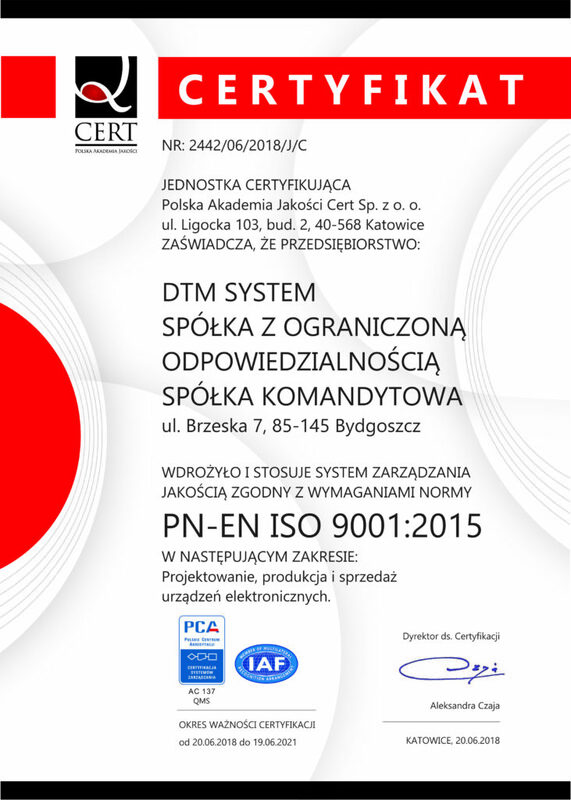 The received certificate confirms that DTM system electronic products meet all the criteria of international safety and quality standards.